Ladies and gents… It’s derby time. Grab your favorite fascinator and your best seersucker suit and join us for an exciting build-up to the greatest two minutes in sports! Meet up with friends at West Wind and enjoy $5 mint juleps all day! 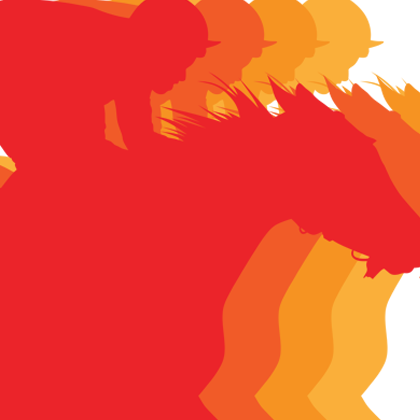 We’ll be televising the race at 5:50pm sharp–May the best horse win! You’ll want to cheer yours on! Will media favorite, Omaha Beach, come out on top? Or will Roadster, a Bob Baffert-trained colt with 7-2 Kentucky Derby odds, take the crown? It’s sure to be an exciting race. Take in all the excitement at West Wind Supper Club! West Wind Supper Club is the place families celebrate their UW-River Falls graduates! 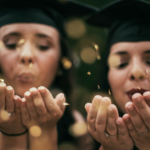 Depending on the time of your graduation ceremony, you can celebrate over brunch or dinner. Our Brunch Buffet features all our popular brunch-time favorites including scrambled eggs, cheesy hash browns, biscuits with country gravy, French toast with maple syrup, waffles with strawberries and cream, fried shrimp, broasted chicken, mac n’ cheese, and more! If you plan to celebrate over dinner, order from our menu or enjoy our all you can eat chef-carved prime rib buffet, with our Deluxe Salad Bar and all of your favorite sides! Make your reservations today! Call (715) 425-8100 or complete our online reservation form here. Nobody deserves a break on her special day more than Mom! Make sure she stays out of the kitchen–and please, spare her the clean-up–by celebrating Mother’s Day at West Wind! Plus, new this year… Build Your Own Bottomless Mimosa Bar during brunch! If Mom would prefer to celebrate over dinner, our dinner buffet will feature Chef-carved leg of lamb, New York Strip loin, and smoked ham, plus BBQ pork ribs, broasted chicken, fried shrimp, Swedish meatballs, and more, along with our Deluxe Salad Bar and her favorite side dishes, making for a delicious celebration! Join us at West Wind Supper Club on Monday evenings for bingo to support the River Falls Youth Hockey Association! It all gets underway at 7pm and you could say that everyone is a winner–not only is it a great night of fun, but all proceeds support this awesome local organization! 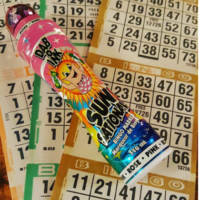 Thanks to your support, West Wind’s Monday bingo nights help to generate $15,000 each year for youth hockey! So mark your calendar and make plans to meet up with friends on Mondays for B-I-N-G-O!